Dr.Rangadhar Satapathy. MD(Hom) is a well experienced globally recognized homeopathic physician treating patients from more than 65 countries and has an excellent track record of cure rate more than 92 % in different diseases. Many critical non curable cases like brain tumor, cancer, psoriasis, multiple sclerosis, rheumatoid arthritis, chronic bronchial asthma, thalassemia few from the long list of the diseases has been successfully cured by his modern, scientific, and advanced approach of homeopathy treatment. He applies both clinical and classical approach in his all treatment. His treatment is based on the clinical research and experience gained last two decades of his practice. He has proved in his treatment that homeopathy works and gives better result in many diseases both in acute and chronic cases than the usual conventional treatment. There are thousands of witness of his excellent treatment who have narrates their own experience in the testimonial section how they have benefitted from his treatment. His successful treatment has built the confidence in the mind of many people on homeopathy therapy. According to him treatment is not just to treat a patient but to feel his pain, his emotion and to give respect to the trust he has for you. 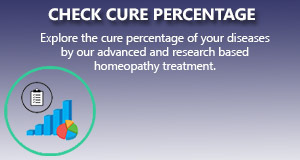 Dr Satapathy applies the most unique advanced, scientific approach of homeopathy treatment. His treatment consist of two parts – i) First to give relief from the acute painful condition in a very short period with his specially design homeopathy treatment packages and ii) to give a long term cure to the specific health condition by the classical constitutional treatment. So his unique approach of treatment offer a quick, effective, positive and permanent cure to any disease condition. He has been awarded as Best wellness doctor on 2009 by World Wellness Open University and best online doctor in 2008.